As recommended by University of Oxford, The Open University, Southampton University and 1000's of private clients. 8 mm film is a motion picture film format in which the film strip is eight millimeters wide. It exists in two main versions — the original standard 8 mm film, also known as regular 8 mm, and Super 8. 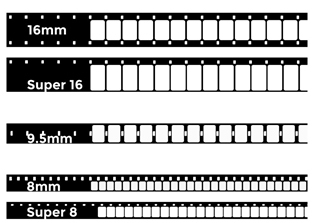 Although both standard 8 mm and Super 8 are 8 mm wide, Super 8 has a larger image area because of its smaller and more widely spaced perforations. 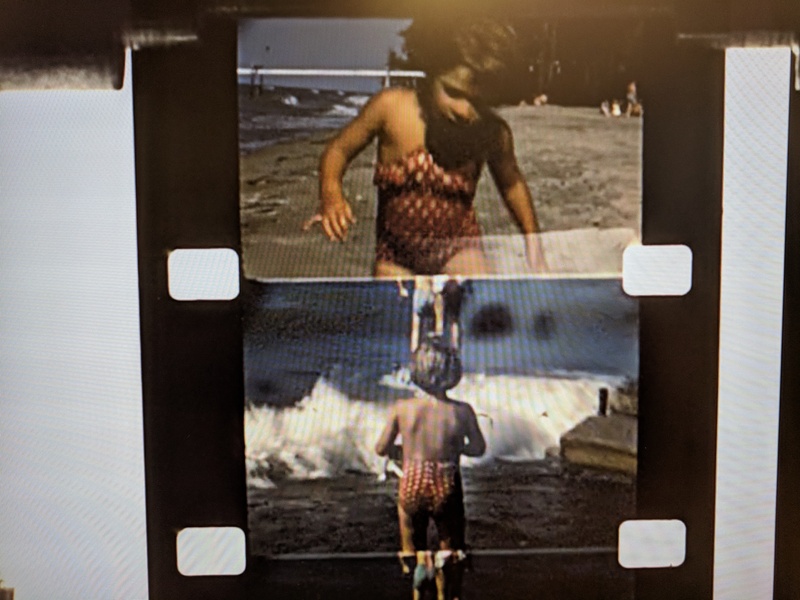 There are also two other varieties of Super 8—Single 8 mm and Straight-8 that require different cameras, but produce a final film with the same dimensions. Double 8 is actually 16mm wide. Another version of Super-8 film, Single-8, was produced by Fuji in Japan. Introduced in 1965 as an alternative to the Kodak Super 8 format, it had the same final film dimensions, but with a different cassette. Unlike the co-axial design of Super 8, the Single 8 cartridge featured one spool above the other. 8mm Super8 (with sound), Single8 (with sound), Regular 8 (with sound), 9,5mm (Pathe), 9,5mm film without sound, 16mm without sound, 16mm optical sound, 16mm magnetic sound. in loss of finer detail and colour. digital files in AVI, MOV or MPEG4 formats for all your requirements. These are provided on a USB stick. Our services go even further by offering our clients the individual film cells that can be converted into individual photographs. Due to scanning frame by frame we can offer this additional service in HD 1920 x 1080 pixels. All films are checked for bad welds. If there are any they will be repaired. If necessary the films will be cleaned with professional film cleaner. Scanning will be prepared with our scanning equipment and recorded frame by frame in either Standard and High Definintion and at the speed in which the film is recorded ie 16, 18 or 24 frames per second to include sound. 16mm films sometimes have an extra perforated tape. This is a magnetic tape with the same measurements as the original film and contains the soundtrack. Both tapes will be digitized and synchronysed afterwards. After scanning and image corrections the film will be transferred to your chosen format. From ready-made video files so you can play it directly onto your computer, TV, tablet, smartphone, mediaplayer, etc to DVD's or Blu-Ray. We offer digitised tapes in the format: H.264 by default. We can deliver other formats if required. DV AVI Apple Prores 422 HQ or uncompressed AVI. If you want to work professionally with video you can consider other codecs. When digitising your films we can offer image corrections as an extra option. This will correct the images on brightness, image stabilisation, colour, sharpness, noise, dirt and stains. The turn around at our Studio is around 10-12 working days depending on demand.